Since acquiring Skype, Microsoft has been slowly but surely developing the messaging tool, most recently increasing the number of chat participants to 50. Now the company has released a new version of the software -- in beta for the time being -- in which it is possible to share your screen with whoever you're chatting with. 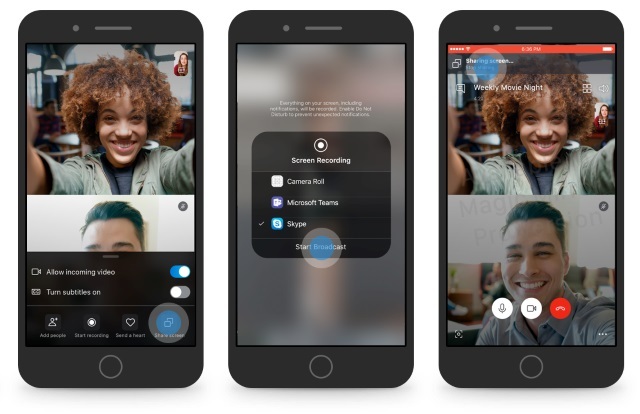 The beta feature is available to people on the Skype Insider program, and it allows for mobile screen sharing on both iOS and Android. While screen sharing is something that is likely to be of particular interest to business users, it is something that will also appeal to many home users.